Home Entertainment Why did the controversial Kanye West come to Uganda? Why did the controversial Kanye West come to Uganda? To use the word embattled in describing the mess Kanye West left in America earlier this week would be to assume the whole world isn’t already used to the rapper’s tendency for controversy. In fact, the rapper’s most recent incursion began less sinisterly, with the deletion of his social media profiles. Two horrendous Kanye West related headlines have since been flying around: the first about his awkward oval office meeting with Donald Trump, the second, about his involvement in the Pusha Vs Drake beef. Neither of them has been kindly received online. 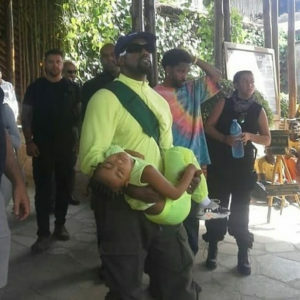 Perhaps to avoid the media storm that would surely trail him and his uber-famous family throughout the weekend, Kanye West, Kim Kardashian and their daughter North have been spotted in a TMZ video from Uganda’s Chobe Safari Lodge, Lolim. Kanye would reportedly be staying at the Chobe Safari Lodge for 10 days and Big Sean is also rumored to have joined the Wests on their trip. 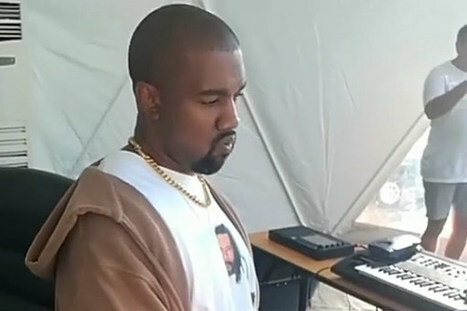 The rapper had previously announced a trip to Africa as his next move to work on his upcoming album YANDHI, and according to Ugandan news website, Matooke Republic, Kanye West has already contracted Ugandan production house and record label, Swangz Avenue, to work with him. Swangz Avenue was founded by singer and producer Benon Mugumya, it is largely regarded as one of the most successful labels in Uganda. The entertainment company recently hosted the ‘Swangz All-Star Concert’ to celebrate its 10-year run in the Ugandan music industry. ‘Swangz All-Star Concert hosted a sold-out crowd to performances from Navio, Maddox, Vinka and a couple other popular Ugandan artists who opened for Jamaican singer, Tarrus Riley, the headlining act. There will be more details from Swangz Avenue’s work with Kanye West coming up, in the meantime, there is a video of Kanye Listening to Burna Boy’s “YE” in Uganda.